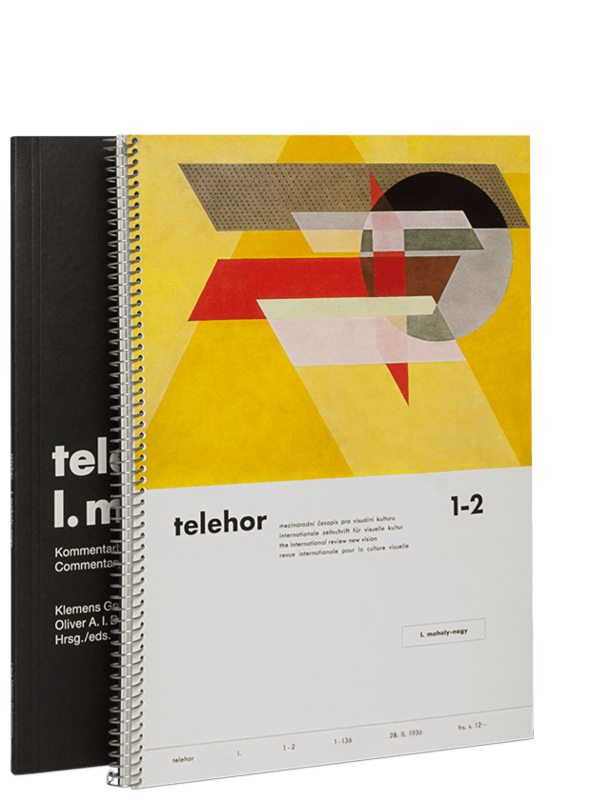 In 1936 the first and only issue of the magazine telehor (Greek for tele-vision) was released in four languages, as a special edition on and by László Moholy-Nagy. The facsimile reprint of the magazine is accompanied by a commentary volume. 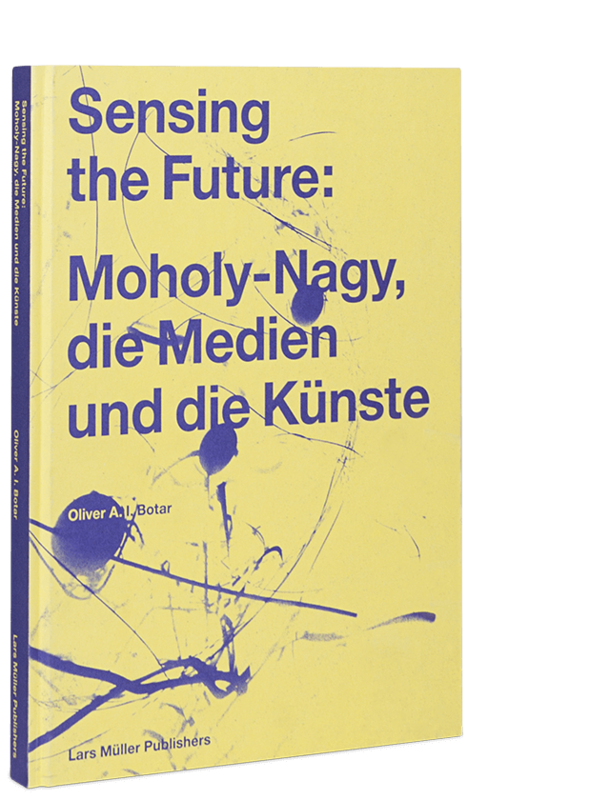 The reprint makes the magazine accessible again in terms of its artistic and theoretical-historical dimensions. Particular attention has been paid to the production process. Thus the volume appears spiral-bound, an ultramodern technique in the mid-1930s. 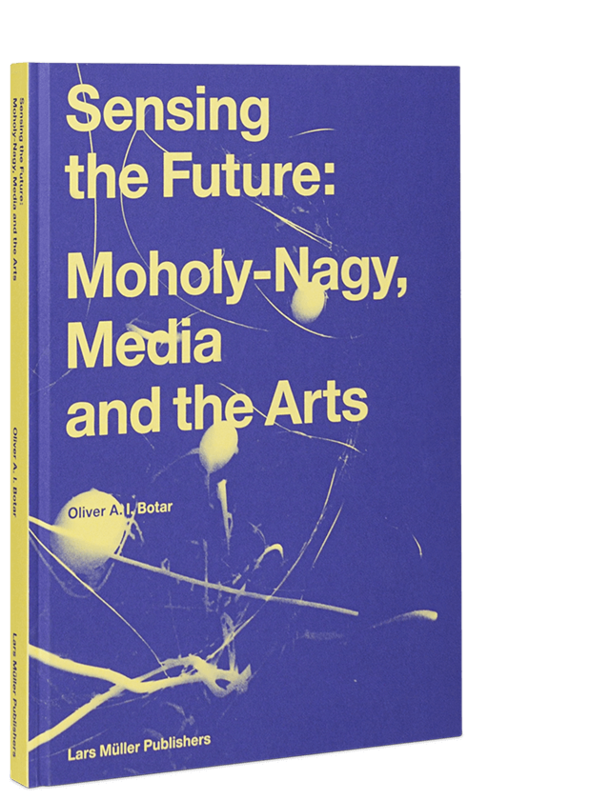 The commentary contains an editorial statement that places the magazine, telehor, in the context of the art and media of the 1920s and 1930s and unlocks the position of the artistic avant-garde at the intersection of two epochs. It also contains new translations of the original texts: in Mandarin, Russian, Hungarian and Spanish. László Moholy-Nagy (1895–1946) is one of the central figures of the European avant-garde. His move from Budapest through Vienna to Berlin, his call to the Bauhaus in Weimar/Dessau by Gropius in 1923, his flight from the Nazis first to the Netherlands, then to London, and finally to Chicago, where he became director of the “New Bauhaus” and founded the “School of Design”, all these stations set the horizon for his poly-artistic research.